The understanding came during delegation level talks between both the countries in Islamabad today in which Foreign Minister Shah Mahmood Qureshi represented Pakistani side while the Turkish side by its Foreign Minister Mevlut Cavusoglu. Later addressing a joint news conference with the Turkish counterpart, Foreign Minister Shah Mahmood Qureshi said the meeting also provided an opportunity to discuss the progress on Free Trade Agreement. He said it has been agreed to revive the process of talks on FTA and take it to logical conclusion at the earliest. Shah Mahmood Qureshi pointed out that a high level strategic council exists between the two countries which provides mechanism to ensure implementation on the already signed projects. The foreign minister said his Turkish counterpart has accepted his invitation to participate in the meeting of Kashmir Contact Group to be held on the sidelines of the UN General Assembly session. He thanked unambiguous stance of Turkey on Kashmir and its support to Pakistan at other international forums. In his remarks on the occasion, the Turkish Foreign Minister said Pakistan is our second home. Describing talks with Shah Mahmood Qureshi as fruitful, he said we have agreed to further strengthen our relations. He said his country will encourage the Turkish companies to invest in different sectors in Pakistan. The Turkish Foreign Minister said we also desire to further deepen our defense relations. He said our defense industries have developed tremendously over a period of time and we have expertise in different areas and we can greatly benefit from each other’s experiences. 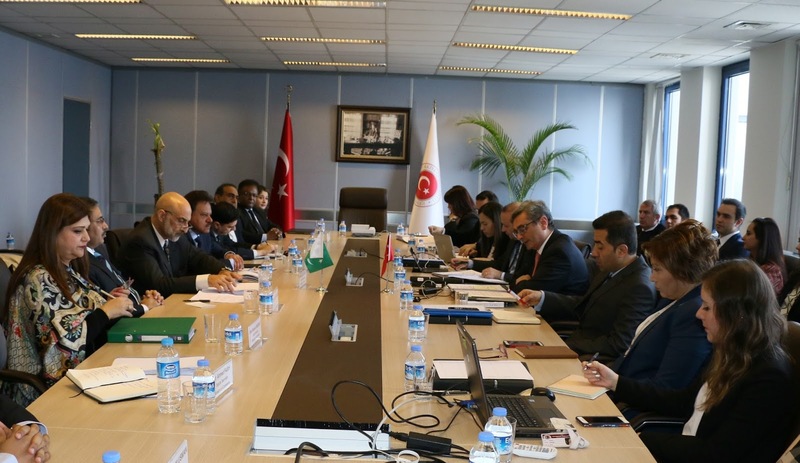 Meanwhile, delegation level talks have started between Pakistan and Turkey at the foreign office in Islamabad in which both the sides are discussing the entire gamut of bilateral relations. Pakistani side is being led by Foreign Minister Shah Mahmood Qureshi while the Turkish side by its Foreign Minister Mevlut Cavusoglu. The two sides are discussing ways and means to further promote economic and trade relations.